Ever wondered what an ‘Unconquerable Citadel’ looks like? 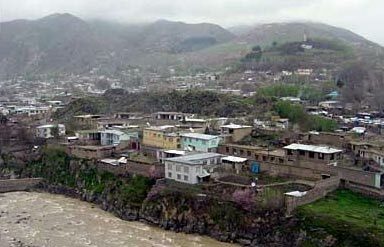 Or whether, a single town, no matter how diminutive in its existence, can embrace different religions—Islam, Hinduism, Jainism and Buddhism? In fact, it was in Ayodhya in Uttar Pradesh where Valmiki and Tulsi Das had written the narratives of Ramayana, the famous Hindu mythological epic. Centuries have passed by, but the glory, magnificence and religious value of Ayodhya has never lessened. In fact, it grew with time, mushrooming in a new way and touching millions of lives. Lauded as an important pilgrimage destination in India, travel to Ayodhya to experience difference. Embroidered by River Sarayu, the little town of Ayodhya is known for being the sacred birthplace of Lord Rama, the protagonist of Ramayana. After completing his 14 years of exile from Ayodhya, he was warmly welcomed, along with his wife Sita and brother Laxman, by the natives of Ayodhya. Evolved into a celebration of lights with sparkling lamps and illuminating diyas, this ritual today is known as Diwali—the festival of lights. 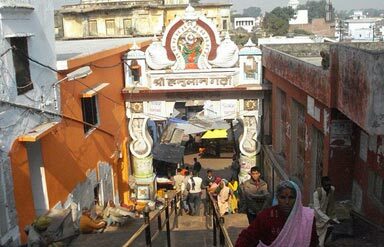 History of Ayodhya reveals that it was initially called as Saket and was established 9000 years back by Manu, the progenitor of Hinduism. Along with Dwarka and Varanasi, Hinduism regards Ayodhya as an enlightened land, relieving the pilgrims from the circle of birth and death. Even the famous Chinese monks like Fa-Hien and Hiuen Tsang had mentioned about Ayodhya during their travelogues. Innumerable Buddhist temples and monasteries were constructed in Ayodhya during the Gupta dynasty. Additionally, it is known for being the birthplace of five Jain Tirthankaras—classically revealed by the elaborate design patterns of Jain temples scattered all over Ayodhya. Similarly, the reign of Delhi Sultanate witnessed the growth of several mosques, introducing a new culture in Ayodhya. So, a trip to Ayodhya means different things to different people. And the best part is, its essence and meaning keeps changing with every visit, revealing something new and different. 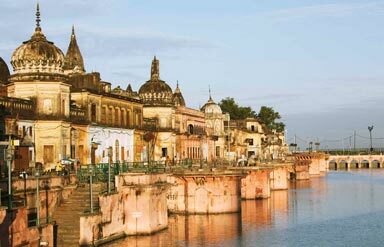 Go ahead and find what Ayodhya Tour means for you in your own way. According to Ramayana, Lord Rama was born near the banks of River Sarayu at Rama Janmabhoomi. Presumably, it was discovered by King Vikramaditya nearly 1000 years ago. Hindu pilgrims visit this sacred destination which currently houses a small make-shift temple. An idol of Lord Rama’s childhood overlooking a blooming lotus is installed in this temple. Nothing beats the magic, charm and beauty of witnessing the Ramlila, an enamouring dramatic re-enactment of Lord Rama’s life, eventually signifying the victory of good over evil. Ramlila of Ayodhya is staged annually during Ram Navami, which takes place in March-April. It is a famous Hindu temple seated in the heart of the city. A flight of 76 steps lead to this majestic temple built in the shape of a fort. Locals believe that in order to protect Rama Janmabhoomi, Lord Hanuman dwelt in a cave which once existed at this site. An idol of Lord Hanuman as a child along with his mother Anjani is placed in the temple. The gateway to the shrine is exquisitely carved and the outer walls of the temple render fort-like appearance to the temple. Towering to a height of 65feet, Mani Parvat is a hill located nearly 1km away from the Ayodhya Railway Station. As per the legends, Mani Parvat is a piece of hill that fell from the massive mountain carried by Lord Hanuman to save Lord Lakshmana during Ramayana. Also called as sone ka mahal,this beautiful temple houses the idols of Lord Rama and Goddess Sita with gold-made crowns on their heads. This exquisitely elegant temple was built by the queen of Tikamgarh called Vrishbhanu Kuvari in 1891. The courtyard of the temple is laid with black and white tiles. The ambiance of the temple becomes even more surreal with the rhythmic notes of musicians performing in this courtyard. Gulab Bari(6.4km), Faizabad(7km), Guptar Ghat(11km), Lucknow(124km), and Allahabad(167km) are some of the ideal getaways to explore during Ayodhya Tour. An old world charm is unravelled in the markets of this city. Small photos and idols of Lord Rama along with his beloved wife Sita are seen neatly arranged on wooden racks of the shops. Articles to gift such as t-shirts with religious motifs, key rings and chains with the image of Lord Rama in the locket can also be purchased. Zari products and brass-wares are very popular in the bustling markets of Ayodhya. October-March is the best time to visit. Shravan Jhula (July- August) is also a sought after time to explore Ayodhya. The idols of Lord Rama, Goddess Sita and Lord Lakshman are kept on swings in every temple of the city and later carried out with a procession to Mani Hill. Air: The closest aerodrome is located in Lucknow, nearly 130km away from the town. Rail: Ayodhya Railway Station is linked to major cities like Kolkata, Delhi, Lucknow and Jaipur. Road: Bus service is available from almost every part of the state. Some destinations can change your life and the way you think. They infuse positivity in you and let you see the brighter side of life. 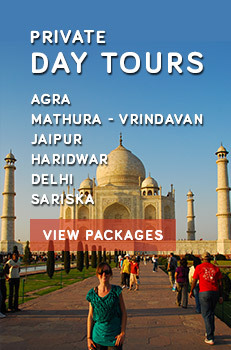 So, book for Ayodhya Tour Packages to experience one such destination, today.